The development of an overseas colony, above all, requires an initiative to populate it. This is, indeed, one of the decisive factors in a colony’s survival. But who were these men and women who decided to come to America to start a new life, or who were sent with no choice in the matter? In other words, who were the ancestors of Quebecers and, in general, of all the Francophone peoples living in North America today? This is not only a matter of interest to genealogists; historians and sociologists also seek to determine the roots of the people of New France. Knowing who the colonists were and where they came from provides a better understanding of the development of this civilization and this new culture, which have survived to the present day. When talking about the settlement of New France, we often evoke the filles du roi, or the “king’s daughters,” the young women sent by Louis XIV and his Minister Jean-Baptiste Colbert to marry bachelors already settled in the colony. However, many other people left their country for New France. In the following article, Leslie Choquette reveals everything about the colonists. Who were they? Where did they come from? How many were there? How old were they? What were their trades? Why did they decide to leave everything behind and face the dangers of an Atlantic crossing? The colonization of New France was part of a transatlantic migration that, from the 16th to the 19th century, would bring about 3 million Europeans and 12 million Africans to America. France, at the time the most populated country of Europe, allowed fewer inhabitants to leave than Spain, Portugal or the British Isles. Only a few hundred thousand French people emigrated and, of this number, barely a few tens of thousands arrived in New France, most preferring to go to the colonies of the Antilles, which were reputed to be richer. This limited settlement nevertheless gave birth to distinct societies in the territories that formed New France: Canada (the St. Lawrence Valley), Acadia, the Pays d’en haut (the Great Lakes) and Louisiana (the Mississippi Valley). Who were these pioneers? Why did they come and how many were there? But first of all, how do we go about studying them? Where does the information on the immigrants come from? “In the 17th century, our ancestors left anonymity behind when they crossed the Atlantic.” This statement from Quebec demographer Hubert Charbonneau attests to the wealth of documentary sources about the lives of French immigrants in New France, before and after their ocean crossing. In France, the documents mainly concern departures: passenger lists, military enlistment rolls, indenture contracts. In New France, the most relevant documents are the administrative registers held by the Church and the State with such precision that, according to Charbonneau, “no other pioneer population can be studied in such detail, at least for such a remote era, whether in New England, Brazil or Spanish America.” The French immigrants who arrived in New France, despite their small numbers, are essential to understanding the European colonization of the Americas. Military muster rolls, indenture contracts and passenger lists, although sometimes in a less than desirable state of conservation, are excellent sources of information about the departures of immigrants to New France. French soldiers and officers were an essential component of the transatlantic migration movement. Indeed, over 13,000 soldiers left for Canada during the French regime. Although they did not all settle in North America, they made a tremendous contribution to the success of French colonization. The muster rolls concern only a minority of these soldiers, but among them, the better organized lists refer to men by their first and last names, or their war name, age, height (required height was five feet), their profession and place of origin. Joseph Galles dit Léveillé enrolled in the Compagnie d’Estorc of the Royal-Roussillon regiment on April 1, 1745. According to the muster roll of 1749, the son of André Galles and Isabelle Escaud was born in the city of Monsempron en Agenais (Monsempron-Libos in Lot-et-Garonne). He was 21 years old and was a practising cobbler. Here are his particulars: “Height: 5 feet 6 and 3/4 inches, brown hair, dark brows, dark skin, hazel eyes, large nose, somewhat scarred by small pox.” Joseph did not return to France after the Conquest and married Joséphine Denis dite Véronneau in Boucherville in 1760. He died in Varennes in 1813. The majority of immigrants who did not come with the army were indentured servants too poor to pay their passage overseas. To pay for their voyage, they signed a contract with an employer in the colony, agreeing to serve him for three years, hence the moniker trente-six mois (thirty-six monther). In return, the servant was lodged, fed, paid and received free passage from France. Once his contract was up, he was free to return to France, sometimes at the expense of his former employer, or to prolong his stay in the colony. On May 15, 1727, Jean Lemoyne signed up in the port of La Rochelle to be a servant to the hospital sisters at Québec for three years. According to his indenture contract, he was 20 years old, a gardener by trade and a native of Noyal, in the diocese of Vannes, Bretagne. The sisters hired him as a gardener for the yearly wage of 100 livres, payable in cash, as well as a monthly jug of spirits, Paris measure, which he could use at his leisure. They paid only for a one-way passage, but during Lemoyne’s period of service, he would be fed, clothed and provided for in health and in sickness. Before boarding the ship, he was provided with a suit of fine fabric, a frock coat, a waistcoat and two pairs of breeches. 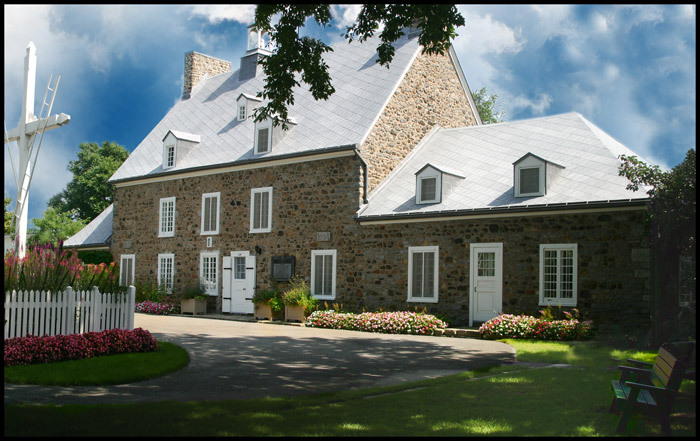 In New France, the names of newcomers can be obtained from the civil registers kept by the Church and certain State documents, such as censuses and notarial and judicial archives. Among the civil registries, marriage certificates are of primary importance for the immigration historian: they provide the geographic origin of the spouses and sometimes their occupation and that of their parents. In Canada, as of 1757, the marriage certificate was preceded by a témoignage de liberté au mariage (an attestation of freedom to marry), during an era when many soldiers of the Seven Years’ War began to settle in the country. The attestation was sworn testimony, corroborated by witnesses as far as possible, asserting that the immigrant was free to marry. Lastly, censuses and notarial and judicial records contain a great deal of information on the immigrants and their activities. For example, the first census held in Canada, in 1666, indicated all of the trades practised by the settlers before their departure from France. In the notarial archives, marriage contracts validated or supplemented the data provided on marriage certificates. The judicial archives provide information about the stories of a number of ill-fated immigrants. Thus, at Louisbourg, the interrogation of an accused Frenchman includes the following questions. What was his father’s occupation and what trade did the accused practise in France? Why did he come to this island? With whom did he associate and when did he arrive? Where was he hired and by whom? What compelled him to contract an indenture? Historians of French immigration in New France, therefore, work with a very rich documentary corpus from the both sides of the Atlantic. This apparently simple question has given rise to much debate. For a long time, historians estimated that about 10,000 immigrants came during the French regime. This estimate, however, is based on a very narrow definition of immigration. It does not reflect gross or net migration, but rather what is called “founding immigration.” Founding immigrants were those who, according to demographer Mario Boleda, established “numerous families constituting what would become the core of Quebec’s population.” This definition implies not only the permanent settlement of colonists but also their reproduction. Moreover, its scope is restricted to the St. Lawrence Valley and excludes the French settlements in the Maritimes and Louisiana. If we adopt a broader definition of immigration that includes temporary migrants, such as indentured workers and soldiers who returned to France, the result is very different. Mario Boleda has suggested two new estimates for immigration to Canada. What he calls “observed immigration”—in other words, the part of the migration movement that can be identified in documents—is about 33,500 people, whereas net migration—determined by demographical techniques—amounts to about 20,000 people. Furthermore, thousands of immigrants, usually temporary migrants, made their way to the Maritimes; genealogist Marcel Fournier estimates their numbers to be about 7,000. Louisiana received 7,000 European immigrants and 7,000 African slaves in the early 18th century. In the beginning, the colonization of New France was the business of men. When Samuel de Champlain built his first habitations in Acadia (1604–1605) and at Québec (1608), his companions were all male. However, colonization could not occur without women. Champlain first of all encouraged Aboriginal peoples to mix with the new settlers to create a colonial population of mixed heritage and French culture. Since his plan did not materialize, the authorities sent women. The first female immigrant, Marguerite Vienne, who accompanied her husband to Québec in 1612, died shortly after her arrival. In 1613, the first real pioneering women arrived: Marie Rollet, the wife of colonist Louis Hébert, and their two daughters, Guillemette and Anne. In Acadia, the first women arrived in 1636, with nine French families. In all, there were about 2,000 women and girls among the 10,000 founding immigrants of Canada. These included the filles du roi, the some 850 young women sent to Quebec in the middle of the 17th century to marry the men of the colony. The geographic origins of the immigrants reflect the importance of Atlantic France in the migratory trend. Over two-thirds of the Canadian and Acadian colonists came from the Atlantic coast, considered in a very broad sense. On a map, an imaginary line drawn from Rouen to Toulouse separates a western France with close ties to New France from the interior of France, which was less involved in the migratory movement. More specifically, 39% of immigrants came from the northwest, 19% from the centre west and 11% from the southwest. Despite the uneven distribution, the recruitment area encompassed all of France: immigrants came from every province, even every current department of the country, except for Corsica: 9% from the east, as many from the Parisian area, 3% from each of the departments of the Loire, the north and the Massif central, 2% from Midi and 1% from the Alps. Finally, only 1% of immigrants to New France were of foreign origin. . If we consider only the founding immigrants of Canada, those who stayed permanently in the colony, the results are somewhat different. The proportion of these immigrants from the northwest drops to 28%, favouring the centre west and the Parisian area. Indeed, a relatively high number of temporary immigrants left from the northwest, in particular Bretagne, whereas the centre west and Île-de-France supplied a higher percentage of pioneers, i.e., immigrants who remained in the country. The urban origin of immigrants was particularly marked: nearly two-thirds came from cities. Of the latter, two-thirds came from large cities with more than 10,000 inhabitants. Colonial immigration in the 17th and 18th centuries was thus clearly distinct from the transatlantic exodus a century later. Indeed, during these two centuries, above all, the residents of villages, market towns and especially cities would settle on land, whereas during the following century, it was the peasants from the Old World who were suddenly introduced to the hustle and bustle of urban environments. The city that supplied the greatest number of immigrants was La Rochelle, then in decreasing order Paris, Saint‑Malo, Rouen, Nantes, Dieppe and Bordeaux, which clearly reflects the Atlantic and urban nature of the outflow of immigrants. Immigrants of rural origin usually came from prosperous areas of the country, with a developed transportation network and agriculture that was well integrated into market economies. Beginning in the Ancien Regime, these peasants participated in an economy that was open to the Atlantic routes where goods and people circulated. The age composition of immigrants does not match that of the French population. The age structure of a normal population resembles a pyramid tapering upward from youngest to oldest. In contrast, that of an immigrant population more closely resembles a top, in which the age groups of the youngest and eldest are under-represented. The immigrants also tended to be young, although children were not characteristic of the group. Nearly three-quarters were under 30 years of age, and among this group, less than one-tenth were under age 15, and more than half were in their 20s. Overall, young adults predominated. The migration of families was the exception rather than the rule. Nuclear families accounted for approximately one-tenth of the immigrants and were usually very young. The recruitment of families was particularly significant in certain regions, such as Perche, where seigneurs made special efforts to attract rural families to their Canadian seigneuries. Family immigration was also relatively common in those regions which maintained close economic links to Canada during the period. Notably, some 40% of the immigrants from the region of La Rochelle undertook the journey in the company or in the wake of relatives. It was only in terms of religion that immigrants reflected the “average” situation in France. From 1627–1628, Canada was an officially Catholic colony. Unconverted Protestants, while often tolerated as temporary immigrants, could not hold assemblies to practise their religion “under pain of punishment.” Fewer than 300 Huguenots were among the founding immigrants of Canada and many of them converted to Catholicism before they arrived. More than two-thirds came from the provinces of the centre west, i.e., from Aunis, Saintonge, Poitou and Angoumois. There were also a few Jews, particularly conversos who practised the Catholic religion. New France, unlike New England, never became a refuge for religious minorities. Yet not all Catholics were necessarily pious. Among lay immigrants, neither the people nor the administrators were particularly inclined to be strictly devout. On the contrary, a degree of indifference among the people could be detected with regard to behaviours prohibited by the Church, and there were even cases of anticlericalism. The administrative elite often found itself in conflict with members of the clergy. Catholic zeal, undoubtedly important in the early years , would therefore have stemmed from missionaries steeped in the ideas of the Counter-Reformation. It is important to recall that one founding or permanent immigrant in five in Canada was female. Who were these 2,000 or so women and girls arriving in the colony after a perilous voyage? Where did they come from and what did they do for a living? The first remarkable fact is the urban origin of a large proportion of the female immigrants. Indeed, over three-quarters of them came from a city, and most of these came from a large city. As was the case for the men, this fact does not necessarily mean that the women were born in cities, but they had left their rural homes before they left for Canada. The second fact that is important to stress is the existence of an exclusively female migration geography. Most of the women departed from the northern half of France. South of the Loire, only the Charente valley experienced the departure of significant numbers of women. Even the region of Bordeaux, which sent thousands of men to the colonies in the 18th century, was the birthplace of only a few future Canadian women. This uneven distribution, in which northern France dominated, resembles the geography of French literacy under the Ancien Regime. Two Frances can be distinguished here: northern and eastern France, characterized by a relatively high proportion of people who could sign their names, and the France of Bretagne, the Massif central and the Midi, with very high illiteracy rates. The men reached Canada from just about every area, while the women hailed particularly from regions with a higher level of culture. Like the men, the women came from every social background: nobility, peasantry, bourgeoisie, artisans. Rich or poor, most women did not, however, have an occupation as we understand the term today. They were preparing for marriage, which was virtually an economic necessity in an era when a woman alone would have difficulty earning a living. Of the 2,000 female immigrants, over two-thirds were prepared to marry as soon as they arrived. There were about 100 widows, but most were what were called at the time filles à marier, or marriageable girls. Twenty percent were under 30 years of age, and half were between 15 and 25 years of age. However, not all of the female immigrants were destined for marriage. About 100 women, married or unmarried, practised an occupation: midwife, school teacher and most often, missionary. Many educators came as missionaries, the most famous of whom was undoubtedly Marguerite Bourgeoys, the founder of the Congregation of Notre-Dame and the first among the colony’s immigrants to be sanctified. Marguerite Bourgeoys’ secular young women, together with the Ursuline nuns, founded the school system in New France, just as the Hospitalières (nurses) of Québec and Montréal established the health system. These well-born women created Canada’s first social services system. Given the important role played by these nuns, we might tend to think that all female immigrants were, if not devout, at least Catholic. This was not the case. At least a few dozen of them were raised in the Huguenot faith, which means that twice as many women as men were Protestant. Esther boarded a ship for La Rochelle in fall 1739. Unfortunately, we know nothing of her existence afterwards. Leaving “sweet France.” Enduring a long, difficult crossing with a 5 per cent risk of death. Landing in a country with immense forests, harsh winters and, what’s more, peopled with formidable warriors. Why emigrate to New France in the 17th and 18th centuries to encounter such perils? In 1739, Claude Amiot, a charcoal burner at Louisbourg, indicted for assaulting a cod salter, was questioned by the judge on the circumstances of his immigration. The interrogation revealed that this 24-year-old son of a wine grower and innkeeper left his home in Champagne “through libertinage with the intention of seeing some country.” His case was probably not unique. The age distribution confirms that immigrants to New France did not form a representative cross-section of the French population. As single, young adults from dynamic urban areas, they must have been part of an unusually adventurous, enterprising group in contrast to the stereotype of the ignorant, conservative peasant. — Choquette, Leslie. De Français à paysans. Modernité et tradition dans le peuplement du Canada français, Sillery, Quebec: Septentrion; Paris: Presses de l’Université de Paris-Sorbonne, 2001. Migration of poverty or prosperity? There is indeed a close connection between arrivals and departures. A great many immigrants made the voyage to New France only after an initial migration, and this fits with other traditions of migration. An immigrant in a port city may have decided, after a brief or lengthy stay, to try his luck in the colony. A soldier may have boarded a ship either as a soldier or an indentured man, after having travelled back and forth between the barracks of several cities for six or seven years. Mountain-dwelling migrants may have interrupted their seasonal journey in a large city to go to work at Louisbourg or Québec. Journeymen-artisans may have cut short their tour de France to go and practise their trade in the colony. (The travels of young artisans nearing the end of their apprenticeship were called tour de France; they travelled throughout France, following more or less structured itineraries.) In such cases, immigration to New France was an extension of the traditional migratory trends in France, which directly contributed to transatlantic mobility. Urbanization, or the ongoing movement of the rural population toward the cities, characterized the French population well before the industrial era. The cities of this era were unhealthy places where the number of deaths far exceeded births, so that they required immigration simply to maintain their population. Immigration from nearby rural areas, within a radius of about 20 kilometres, was just as common for women as it was for men. There were far fewer women immigrants from areas more remote from the city. Regional and inter-regional migrants, whether temporary or permanent, were usually young men seeking employment. Even married, they would travel without their families, which was often the case among seasonal workers. All of these forms of rural exodus were represented among the emigrants leaving for New France. From the countryside around Paris, domestics and artisans left for the city where, on the second leg of their journey, they left for the voyage to the colony. The cook Alexandre Picard, from the village of Mesnil-Saint-Georges in Picardie, the servant Jeanne Godin of Aunay, near Vire in Normandy, and Ambroise Leguay dit La Grenade, a “native of Coubron, 4 leagues from Paris, gilder and silver plater,” are a few examples. From still farther afield, mountain-dwellers crossed the Atlantic after having worked in the big city. Among those from Auvergne, we can cite Pierre Rivet, a water boy, son of a “journeyman and countryman,” from a village near Le Puy. 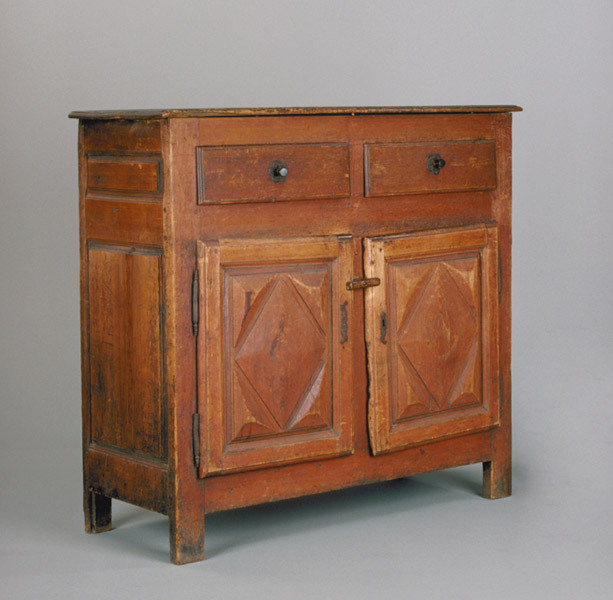 Having arrived in Paris at the age of 17, he had practised this traditional trade for 15 years before joining the troops of Canada where, after his experience as a soldier and journeyman, he practised another specialty of Auvergne—boiler-making. In Acadia and Canada could be found masons from the Massif central, such as André Le Comte dit Vadeboncœur, a native of Azérables in La Creuse, come to Paris as an assistant mason at age 15. He lived there for 10 years on Rue de la Mortellerie, near contractors of Place de la Grève, before he also joined the troops. From the Alps came immigrants with equally typical trades to La Rochelle. Pierre Pechereau, who joined in 1755, was a sweep from Savoy and the merchant François Viennay-Pachot came from Oisans, an incubator of urban peddlers. The inter-urban movements were just as important as the rural exodus was to migrations during the Ancien Regime. French cities were externally connected by two migration networks: one originating in the country; the other in this “second homeland of city-dwellers,” the other cities. Most mobile city-dwellers were single young men. Some were even part of what may be called inter-urban “hypermobility,” because they would travel from city to city for years. The tour de France, along with the other “school of mobility,” the army, gathered in a large number of hypermobile migrants in the 17th and 18th centuries. The traditional waves of internal mobility thereby contributed to transatlantic immigration, which occurred directly in the merging of familiar migration movements. The variety of existing migration networks was not, however, enough to guarantee a significant flow of immigrants to New France and still less to retain them there. Because of the harsh winters, short growing seasons, wars with the Iroquois and slow economic development, Canada was never perceived in France as an El Dorado. In fact, people usually had to be persuaded to emigrate there. Let’s consider who did the persuading and what techniques they used. The recruitment system was based on the public and private sectors. In the private sector, habitants and merchants would sign up passengers and indentured servants, emphasizing the availability of land and attractive wages. Civil servants, often affiliated with the Ministère de la Marine, would recruit soldiers, skilled workers, marriageable girls and non-dangerous criminals, such as poachers and faux-sauniers, or salt smugglers. These recruits formed a very mixed group. Among the criminals, deported without their consent, a good many tried to return despite their life sentences. Soldiers and workers, like indentured workers and passengers recruited by private persons, came to find permanent, well-paid work and perhaps also to settle. Young women without dowries took advantage of this unexpected opportunity to marry. The colony’s habitants often recruited in personal ways. Satisfied colonists wrote to their friends and family members to ask them to come join them. Others, who needed manpower, travelled to France looking for candidates. If, for a variety of reasons, the voyage to France was impossible, they conveyed their requests to a reliable person on site. Those who wished to settle people on a seigneurie, had to recruit on a larger scale. However, although they didn’t dismiss the large ports, the first seigneurs of Acadia and Canada often took a more local approach. Their own regions of origin supplied a considerable number of recruits. Because they needed to develop their land, they tried to enrol whole families and country folk from their home regions. For this reason, the seigneurs, including religious communities, were responsible for recruiting a large proportion of the founding immigrants. The merchants who traded in indentured servants and civil servants in the service of the Crown recruited immigrants in different ways. The first were professionals who paid little attention to the quality of the people for whom they organized transportation. Posters and drum rolls announced their presence in public squares, most often in a large city. They would then cast as wide a net as possible. On a poster produced by the merchants of Le Havre to promote the colonies of the Antilles, the title of master was promised to artisans who would hire themselves out; lumber, tools and animals were promised to farmers; marriage and a trade (that of spinner) to women; and to all as much land as they could cultivate. They also offered an indenture bonus, but in practice the amount was almost always deducted from the wages paid to the immigrant in the colony. Only two categories of immigrants escaped this anonymous method of recruitment: the filles du roi and prisoners. In these two cases, recruiters hired by the Crown sought immigrants from very specific groups. When Louis XIV took charge of New France in 1663, the report on female departures was less than satisfactory. Women accounted for about one-third of the white population, and there were seven men for each marriageable French woman. 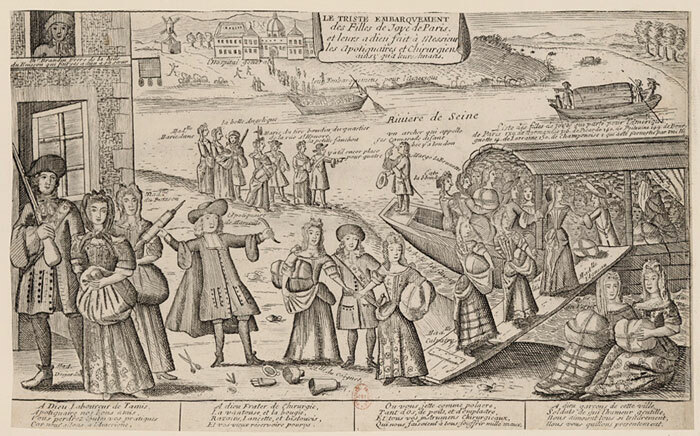 To address such a disastrous situation for settlement, the State sent the filles du roi. From 1663 to 1673, more than 800 women suitable for marriage reached Canada in exchange for a dowry. The filles du roi came primarily from the Hôpital général de Paris, whose chief director, Christophe du Plessis de Montbard, had long been interested in Canada. Founded in 1656, the institution provided shelter for about 3,000 women and girls in the women’s wing of the Salpêtrière: the ill, the insane, poor orphans and even girls from reputable families. 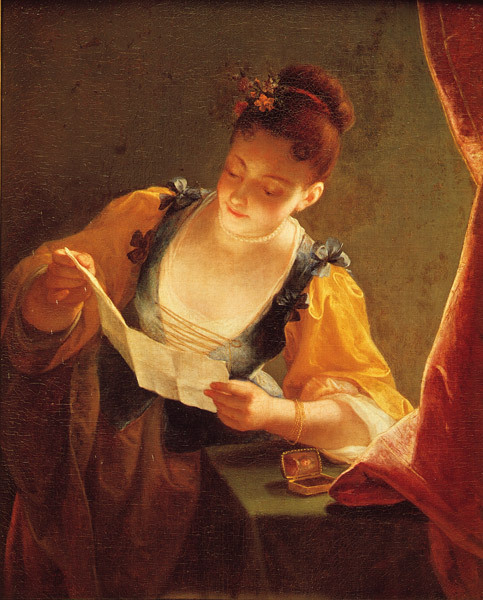 A gentleman without means could place his daughter there, like an inexpensive convent, and the Hôpital was happy to receive this “treasure” who, despite her financial straits, enhanced the institution’s reputation. In principle, the Salpêtrière only rejected women of dubious morals, who were disqualified from receiving public assistance. 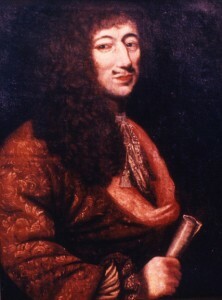 The King’s Intendant in New France, Jean Talon, participated in the recruitment of the filles du roi among the girls in the care of the Hôpital during a visit in 1673. The directors had already made an initial selection among the girls, based on their inclinations and aptitudes; this list was then submitted to the colonial authorities for ratification. 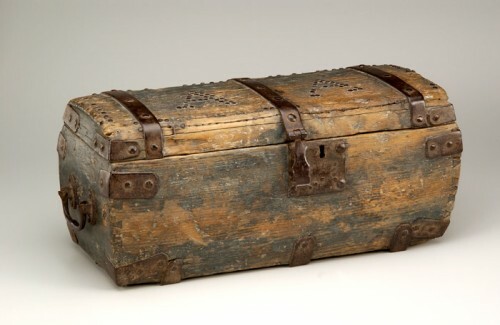 On their departure, they received a small trousseau of about ten livres, containing a chest, one headdress, one taffeta kerchief, one belt, shoe ribbons, 100 needles and one thimble, one comb, white and grey thread, one pair of stockings, shoes, one pair of gloves, scissors, a thousand pins, one bonnet and laces. The filles du roi married soon after their arrival in the colony, thereby becoming founding immigrants. All Québécois “de souche” (old-stock Quebecers) are considered to have at least one fille du roi among their ancestors. Prisoners, in contrast, did not adapt very well to their new country. Of the thousand who reached Canada and Île Royale, during the 1720s, 1730s and 1740s, scarcely 100 would become founding immigrants. Most of them were faux-sauniers, or smugglers who engaged in the salt trade without paying the salt tax, called the gabelle. Chosen by prison directors or other officials based on criteria such as physical condition, trade, age and marital status, they could not refuse to be deported. The faux-saunier Pierre Revol, deported to Canada in 1739, served with the troops until his marriage, in 1744, to a merchant’s daughter. Having become a merchant and wishing to take a business trip, he asked the governor to appeal to the French authorities to have his conviction revoked. Weary of waiting, he armed his ship and, in 1748, set sail for Martinique. 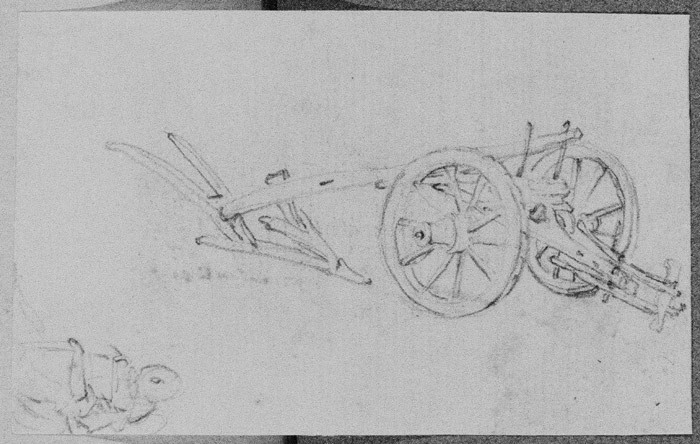 When the governor tried to have him arrested, he threatened his pursuers with his eight cannons. On arriving in Martinique, Revol sold his cargo and then immediately reloaded his ship. He was already en route for Bordeaux when the order was issued to arrest him. From Bordeaux, he slipped away to Marseille, where the authorities were waiting for him. Imprisoned and deported a second time to New France, he got off with six additional months of imprisonment. While the regions of Detroit and the Illinois country were settled mainly from Canada, this was not the case for Louisiana. On the death of Louis xiv, in 1715, French emigration to this colony, founded in 1699, was minimal. Living conditions were very difficult during the War of the Spanish succession (1702–1713), and soon gave Louisiana a bad reputation among the Atlantic ports. In 1704, the 22 marriageable girls bound for this colony tried in vain to desert after hearing of all kinds of horrors about it at the port of Rochefort. In 1715, Louisiana had fewer than 300 people, including 160 French soldiers and a few Canadians. However, the situation quickly shifted during the Regency (when Philippe d’Orléans served as Regent from 1715 to 1723 until Louis XV reached the age of majority). The State first of all adopted the principle of forced emigration, previously rejected by the French Minister of the Marine. The new policy took effect in 1717, the year the trade monopoly of the colony was ceded to John Law’s Company of the Indies. The first phase consisted of seeking, in the provinces of Maine, Touraine and Anjou, salt smugglers deemed capable of working the land. Sixty-five men were chosen in 1716, but their departure was delayed because of preparations to transfer the monopoly. They experienced difficulties while awaiting their departure, which only aggravated the colony’s bad reputation. After the riots, the King put an end to forced emigration, whose toll left little to be desired. From 1717 to 1720, 1,300 men and 160 women were deported, but only a small number of them took part in settling the colony. The experience further discredited the Mississippi among the French, particularly in the large cities and ports that served as natural reservoirs for colonial immigration. Yet Law’s company did not limit itself to transporting immigrants by force. It also engaged in unbridled propaganda to encourage voluntary emigration. However, the exaggerated campaign that presented Louisiana as an earthly paradise proved fruitless. The 300 artisans recruited by the company in the Atlantic ports between 1717 and 1721 mainly came from the Midi where, apparently, the colony’s bad reputation was less well known. In contrast, translated into German, Law’s prospectuses created a sensation in the Rhine Valley where, during the same period, 4,000 people agreed to go to Louisiana. Calamity struck when, of the 4,000 Germans who made their way to the port of Lorient, France, half died as the result of an epidemic and 500 deserted to return home. Of the 1,300 who finally embarked, 500 died on the crossing and 500 perished on their arrival. Only 300 survivors remained, and they would put down roots and quickly become very prosperous colonists. French emigration to Louisiana came to a standstill in 1721, following the collapse of Law’s system. Together with the Germans, over 4,000 voluntary immigrants were successfully transported to the colony, of whom 1,000 returned to France as soon as they could. In addition, there were about 1,000 French soldiers and Swiss troops from the Karrer regiment, mainly temporary immigrants. During the 17th and 18th centuries, New France took in a population that largely distinguished it from the French population as a whole. 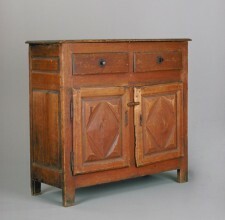 Urban and commercial networks, along with existing migration channels, brought about a kind of selection that resulted in a unique demographic profile dominated by young artisans in the first Francophone centres in North America. Emigration occurred slowly, which explains the importance of the public and private recruitment systems. With few exceptions, Frenchmen and especially French women did not pounce on this path to exile. For those who chose it all the same, the North American adventure provided them—through marriage, settlement on land or a modest nest-egg—with the financial security that had evaded them in France. Many immigrants did not remain in New France. Of the 33,500 who came to Canada, fewer than 10,000 would stay on. Today, they are considered the founding immigrants. Evidently, the British Conquest had an effect. Not counting the veterans of the Seven Years’ War, barely 15% of whom settled in the colony, more than 4,000 Canadian habitants returned to France at the end of the French regime. In the Maritimes, the situation was worse because of the deportation, administered by the British, of more than 10,000 Acadians and the forced repatriation of the habitants of Île Royale and Île Saint-Jean (today Cape Breton and Prince Edward islands). Whether in Canada or the Maritimes, the Conquest marked the beginning of a new era in European settlement, now dominated by the British. Those who remained benefited from the reinforcements of surviving Acadians or those who returned following the Grand Dérangement, and perpetuated the French heritage. Today, they have more than 10 million descendants in North America. ALLAIN, MATHÉ. “L’Immigration française en Louisiane, 1718-1721,” Revue d’histoire de l’Amérique française, vol. 28 (1975), pp. 555–564. BÉDARD, MARC-ANDRÉ. Les protestants en New France, Québec: La Société historique du Québec, 1978. Cahiers d’histoire, no 31. BOLEDA, MARIO. “Trente mille Français à la conquête du Saint-Laurent,” Histoire sociale/Social History, vol. 23 (1990), pp. 153–177. CARPIN, GERVAIS. Le réseau du Canada. Étude du mode migratoire de la France vers la Nouvelle France (1628-1662), Sillery, Quebec: Septentrion; Paris: Presses de l’Université de Paris-Sorbonne, 2001. CHARBONNEAU, HUBERT. Vie et mort de nos ancêtres. Étude démographique, Montréal: Presses de l’Université de Montréal, 1975. CHARBONNEAU, HUBERT, et al. Naissance d’une population. Les Français établis au Canada au xviie siècle, Paris: Institut national des études démographiques; Montréal: Presses de l’Université de Montréal, 1987. CHOQUETTE, LESLIE. De Français à paysans. Modernité et tradition dans le peuplement du Canada français, Sillery, Quebec: Septentrion; Paris: Presses de l’Université de Paris-Sorbonne, 2001. DECHÊNE, LOUISE. Habitants et marchands de Montréal au xviie siècle, Paris: Plon, 1974. DUPÂQUIER, JACQUES, ed. Histoire de la Population française, vol. 2, De la Renaissance à 1789, Paris: Presses universitaires de France, 1988. FOURNIER, MARCEL. Les Européens au Canada des origines à 1765, Montréal: Éditions du fleuve, 1989. FOURNIER, MARCEL, ed. Combattre pour la France en Amérique. Les soldats de la guerre de Sept Ans en Nouvelle-France, 1755-1760, Montréal: Société généalogique canadienne-française, 2009. JETTÉ, RENÉ. Dictionnaire généalogique des familles du Québec des origines à 1730, Montréal: Presses de l’Université de Montréal, 1983. LANDRY, YVES. Les filles du roi au xviie siècle. Orphelines en France, pionnières au Canada, Ottawa: Leméac, 1992. LANDRY, YVES, ed. Le peuplement du Canada aux xviie et xviiie siècles. Actes des premières journées d’étude du Programme de recherche sur l’émigration des Français en Nouvelle-France (PRÉFEN), Caen: Centre de recherche d’histoire quantitative, 2004. LARIN, ROBERT. Brève histoire du peuplement européen en Nouvelle France, Sillery, Quebec: Septentrion, 2000. MANDROU, ROBERT. “Les Français hors de France aux xvie and xviie siècles,” Annales. Économies, sociétés, civilisations, vol. 14 (1959), pp. 662–675. MOOGK, PETER N. La Nouvelle France. The Making of French Canada—A Cultural History, East Lansing, Michigan: Michigan State University Press, 2000. PÉROUAS, LOUIS. “Sur la démographie rochelaise,” Annales. Économies, sociétés, civilisations, vol. 16 (1961), pp. 1131–1140. VAUGEOIS, DENIS. Les Juifs et la Nouvelle France, Trois-Rivières: Boréal Express, 1968.